Stir in GW Granulated Sugar and salt. Let batter set about 1 hour before using. Drop a thin layer of batter in a lightly greased frying pan and tip pan to spread batter. Brown and turn to brown other side. 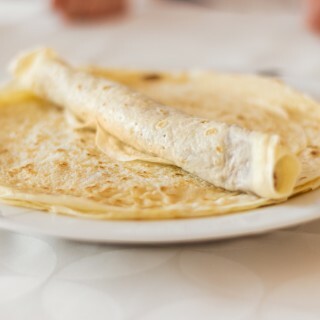 Pancakes are supposed to be thin, almost like crepes. Serve with butter, syrup, jelly or jam, GW Powdered Sugar or fruit preserves.